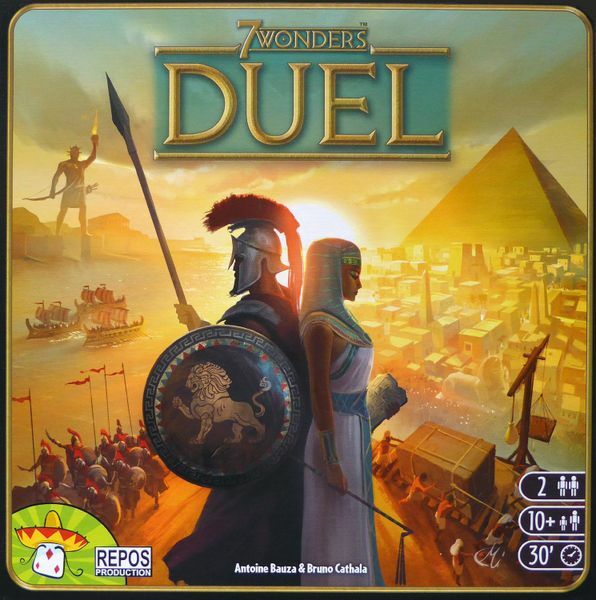 7 Wonders: Duel is a fast and fun two-player, head-to-head card drafting game. 7 Wonders: Duel card sets are collected to build four areas of advancement: economic, cultural, scientific, and military. Like its older sibling, 7 Wonders, you have three rounds or Ages to develop your civilization. Achieve enough scientific or military progress, and you win. If no scientific or military dominance occurs, players compare their victory points to determine the winner. This is a tense, fast-paced, well-balanced two player game, one that is deserving of the praise it has received. 7 Wonders: Duel is a quick, interactive, card drafting, civilization building game designed specifically for only two players. It is the perfect board game gift for the “game couple” in your life. Patchwork a fast paced, two-player resource management, puzzle board game. Patchwork starts each player with an empty 9×9 grid and asks them to create the largest quilt while acquiring the most points before they run out of turns. One of the fun game dynamics allows the player furthest back on the turn chart to play until they advance past the leading player. However, advancing faster on the chart, provides point rewards of its own. It challenges players to manage resources which provide unique limitations and trade offs. So long as you don’t care about immersing yourself in the competitive world of quilting it’s a near perfect fit for any couple. Patchwork is a quick, accessible, interactive game of intuition and depth. It is a great board game present for your favorite couple. Codenames: Duet is a cooperative, whimsical board game of one word clues. Codenames: Duet starts with the premise that your team of spies must be contacted and brought in quickly. Using only one word clues and the number of cards that clue references, your team must identify 15 spies from a grid of 25. Do this in under nine rounds without selecting an assassin card, and your team wins. Two players take turns being the clue givers with the use of a two-sided key card. I love it and don’t really have much desire to go back to the original. It’s a game full of tension and mental gymnastics, all bundled into a highly accessible package. Codenames: Duet is a light, fun, and challenging, word focused card based game and an ideal board game gift for two (to four) players. Ticket to Ride: First Journey (Europe) is a card collection, route claiming board game aimed at kids six years old and up. Ticket to Ride: First Journey (Europe) has the same look and feel of the original Ticket to Ride but for a younger group of players. By assembling card sets to collect routes and using the routes to connect distant cities, players can earn tickets toward victory. Tickets are randomly drawn, but the first player to connect the two sides of the game board, also wins a ticket. 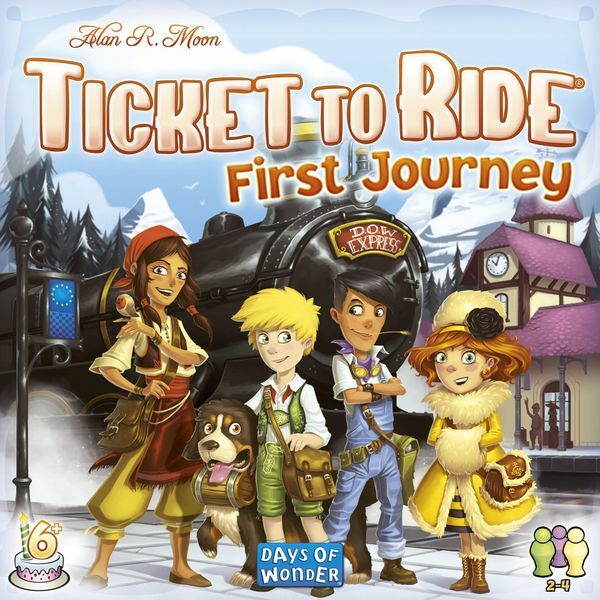 Ticket to Ride: First Journey (Europe) echos the ease and fun of the original game but aims this fun at a younger crowd. First Journey (Europe) is a great board game gift for the kids in your life. Stuffed Fables is family-friendly adventure board game for children aged seven and up. Stuffed Fables tells the story of stuffed animals that come to life to protect the little girl they love. Each player takes on the role of a stuffed animal. The game book contains the pick your own path style narrative, the rules, and has the play board on the second page. As you advance the story and turn the page, the game board, rules, and adventure may all change as well. If you enjoy storytelling games, beautiful artwork, and a game that gives you the freedom to make story changing decisions, Stuffed Fables is an absolute must have. Stuffed Fables is a wonderful storytelling board game filled with fun characters and heroic adventure shaped for families to play together. Qwixx Deluxe is a fast, simple, and fun dice game suitable for the whole family. 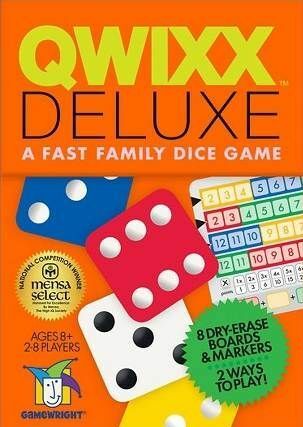 Qwixx Deluxe is the perfect family party game where everyone plays on every roll of the dice. Players use strategy based on probability to determine where and when to count each die in the roll. It is a Mensa Select national competition winner. How do you improve on perfection? Expand it without losing what makes the game fun in the first place. Qwixx Deluxe is simple, quick to learn, and genuinely fun dice game. It is a good choice for any board game gift that must appease a whole room of children, adults, and everyone in between.